Many people don’t understand the difference between a tuxedo vs a suit, and with men’s suit styles changing all the time, it’s becoming harder to tell the difference. Here at Briggins Wedding Suits, we offer a full range of services including custom wedding suit design and styling for both the groom and groomsmen. 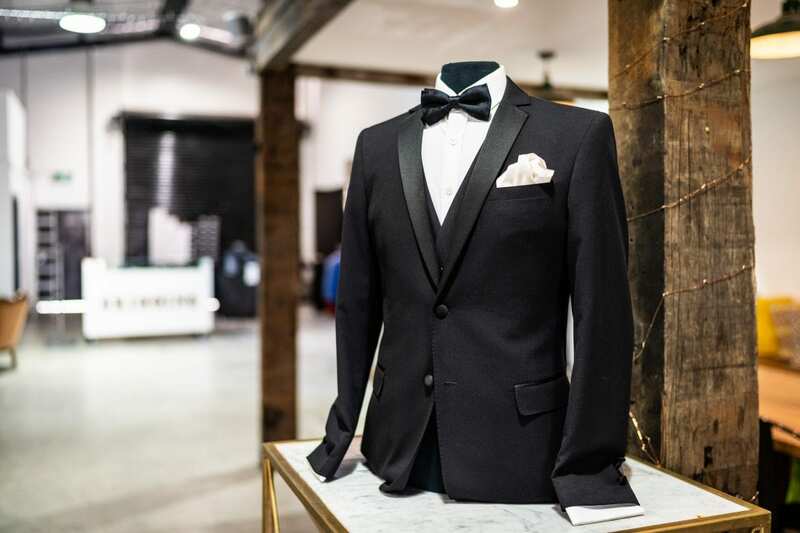 We invite you to head down to Briggins Nunawading where you can experience our showroom for yourself, where you’ll be greeted at the door with a beverage of your choice and the opportunity to have hit on our ping poor table whilst you and your groomsman relax and get suited out in style. Whilst you’re here, why not treat yourself and get a new haircut from our in house barber, David. If you’re pressed for time and can’t get down to the showroom, then we also offer a travelling tailor service where I will personally come out to your home or office and fit you out with the perfect custom wedding suit at a time that is convenient to you.